NFL Week 11 Fantasy WR Breakdown: Play Seth Roberts in Cash Games? In this positional breakdown, I’m looking at the wide receivers at the top of the individual Pro Models that Jonathan Bales, Peter Jennings (CSURAM88), Adam Levitan, Sean Koerner, Chris Raybon, Kevin McClelland (SportsGeek) and I have constructed. 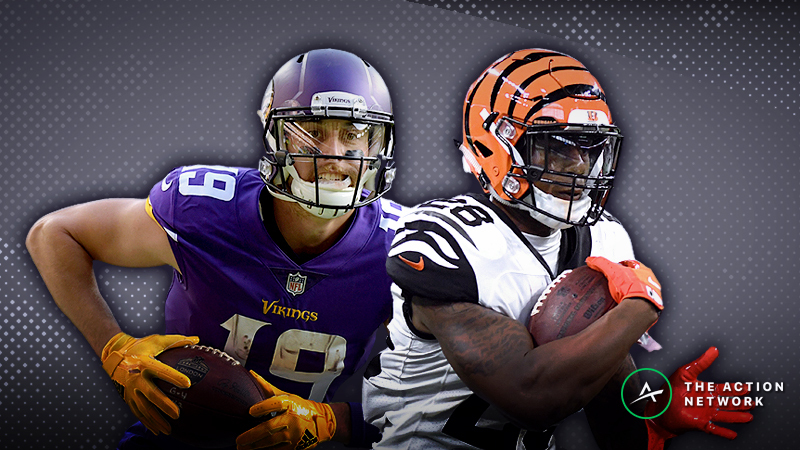 This week, there are six wide receivers at the top of our individual Pro Models. Beckham had just two touchdowns entering Week 10, then … #Eruption: 21.3 FanDuel points and 4-73-2 receiving on 11 targets on Monday Night Football against the 49ers. Beckham is among the top three receivers with a 0.42 market share of air yards and among the top five with 102 targets overall. No NFL wide receiver in history has more receptions, receiving yards or FanDuel points through 56 games than Beckham’s 378, 5,282 and 951.6. We’re talking about a guy who is in his prime, on a Hall-of-Fame trajectory … and facing perhaps the worst defense in the league this week. Credit: Brad Penner-USA TODAY Sports. Pictured: Odell Beckham Jr. The Buccaneers defense is 31st with an 18.9% mark in Football Outsiders’ DVOA and 30th against the pass with a 36.0% DVOA. The Bucs have allowed the second-most fantasy production to opposing wide receivers with 36.7 FanDuel points per game. When facing high-end receivers comparable to Beckham in talent, the Bucs have been helpless. The Bucs might have the league’s worst trio of starting cornerbacks. Brent Grimes was a Pro Bowler with the Dolphins in the 2013-15 seasons, and in 2016 and 2017 he had above-average Pro Football Focus coverage grades of 87.4 and 75.2. This season, though, Grimes has been a liability, allowing a 20-304-1 receiving line on 30 targets. As for M.J. Stewart and Carlton Davis, both are second-round rookies with potential, but right now they have poor PFF coverage grades of 55.8 and 58.9. One day they might be good, but so far they’ve combined to surrender a 57-685-8 receiving line with no interceptions on 77 attempts. On top of that, Stewart (leg) exited Week 8 early and hasn’t played or practice since. He seems unlikely to suit up this week. In his place, undrafted third-year veteran Javien Elliott has seen regular snaps in the slot. He has a 41.6 PFF coverage grade this season, and for his career has allowed literally a 100% catch rate on 26 targets. Beckham has run 28.3% of his routes out of the slot this season. Whenever he gets matched up against Elliott, #GameOver. Beckham has a great matchup against the Bucs. In the front seven, edge rusher Vinny Curry (ankle) has missed three of the past four games. Defensive end Carl Nassib (elbow) suffered an injury in Week 10 and is uncertain to play. Middle linebacker Kwon Alexander (knee, injured reserve) is out, as is backup middle linebacker Jack Cichy (ankle, IR). On top of that, weakside linebacker Lavonte David (knee) is dealing with a sprain and is tentatively expected not to play. And in the secondary, cornerback Vernon Hargreaves (shoulder, IR) and strong safety Chris Conte (knee, IR) are out. Beckham is in the utmost of smash spots: The Giants-Bucs game has a week-high 81.55 pass funnel rating. With their high-scoring offense and vulnerable defense, the Bucs have seen an NFL-high seven games hit the over tin 2018. Although Giants games have a 4-5 over/under record this season (per Bet Labs), I expect Beckham to find himself in a back-and-forth affair. The Giants trail only the Saints on the slate with their 27.5-point implied Vegas total. 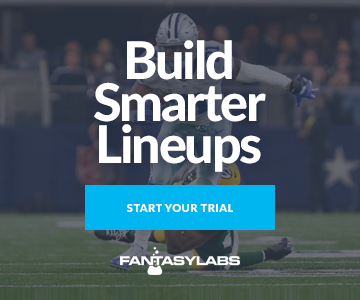 For guaranteed prize pools, you might want to use our Lineup Builder to stack Beckham with Manning, who is also popping in some of our Pro Models. Since 2014, No. 1 wide receivers on average have had a 0.54 correlation with their quarterbacks. With Manning, Beckham has a 0.69 correlation. When the Giants were last in the main slate in Week 8, Beckham and Manning had a shared ownership rate of 0.96% in the Millionaire Maker. On Sunday morning, I might look to bet the over on Beckham’s touchdown prop. He’s top three in the league with 13 end-zone targets, and no team has allowed more touchdowns to wide receivers than the Bucs have with 1.7 per game. To find the best bets in the props market, use our Player Props Tool, which is powered by our industry-leading projections. Since Week 1, the props with a bet quality of 10 have gone 182-86-6, good for a 66% win rate. Without question, you should supplement your DFS action with player props. Beckham has top-two median and ceiling projections on FanDuel, where he’s the No. 1 wide receiver in each of Pro Models except for one (Freedman, of course). UPDATE (11/18): Redskins cornerback Quinton Dunbar (leg) is out. 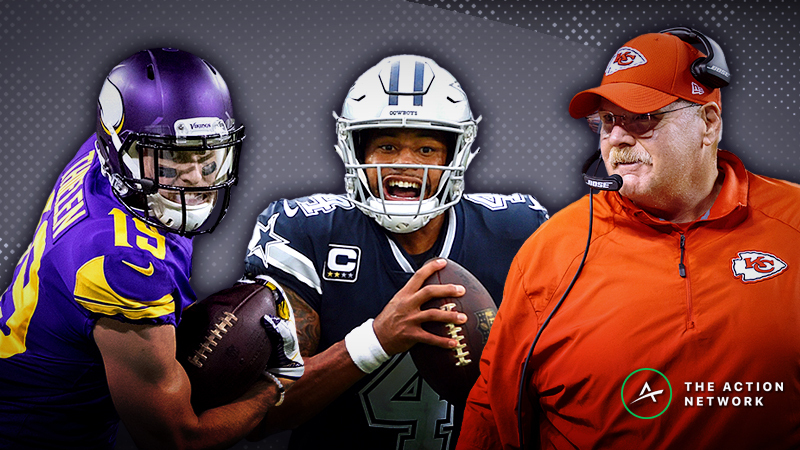 On the Wednesday edition of The Action Network NFL Podcast, we talked about Hopkins as a potential cash-game option for the slate. It’s easy to see why he’s in play: Hopkins is first in the league with his 0.32 market share of targets, second with his 0.42 share of air yards and third with his 22.7 DraftKings points per game. There’s only one word that I can use to describe Nuk: Delicious. Since his 2014 breakout season, the only players to score more than Hopkins’ 18.4 DraftKings points per game are Antonio Brown, Julio Jones and Beckham. There is, however, some cause for concern based on his splits over the past two seasons. As important as quarterback Deshaun Watson is to the Texans, for Hopkins’ personal production it’s possible that wide receiver Will Fuller is even more important. With Fuller lined up across from Hopkins, opposing defenses have to respect the speedster’s field-stretching ability, which means that they can’t shade safeties to Hopkins’ side of the field. Nuk’s per-game splits since last season are quite suggestive. The samples are all small, but the numbers suggest that he’s benefited way more from Fuller than from Watson, and that might actually make sense. Regardless of whoever throws him the ball, Hopkins gets a lot of targets. But with Fuller on the field, the quality of Hopkins’ targets — what he can do with those targets — improves dramatically. So with Fuller (knee, IR) out for the rest of the season, Hopkins could very well be less productive with the targets he gets, even with the recent addition of veteran wide receiver Demaryius Thomas and the expected return of dynamic rookie slot receiver Keke Coutee (hamstring). Still, it’s hard to think poorly of a receiver with Hopkins’ talent and target volume, especially since the Redskins are one of the most injured teams in the league. On offense, their injuries are legion. Without their two best wide receivers, best pass-catching back and three starting offensive linemen, the Redskins could struggle to sustain drives, which in turn could put more pressure on their defense and make it more vulnerable. On top of that, the Redskins will likely be without cornerback Quinton Dunbar (shin), who missed Weeks 7 and 8, exited Week 9 after aggravating his leg injury and sat out Week 10. Replacing him on the outside will be a combination of Greg Stroman and Danny Johnson — rookies who respectively entered the league as seventh-round and undrafted roster fodder. Collectively, they have allowed a 26-404-3 receiving line on 36 targets and 190 coverage snaps. If Nuk has the opportunity to face them, he could have a massive game. Of course, it’s possible that Hopkins could be shadowed by cornerback Josh Norman for most of the game. Although the Redskins haven’t traditionally used Norman in shadow coverage, over the past three weeks they’ve finally let their top corner tail three of the top receivers in the game: Beckham, Jones and Mike Evans. Even so, the three of them put up a combined 18-308-1 stat line on 27 targets. Regardless of the cornerback Hopkins faces on any given play, he’s in a good spot. Hopkins is tied for the position lead with eight Pro Trends on DraftKings, where he’s the No. 1 wide receiver in the Levitan and SportsGeek Models. Allen (hip, finger) is dealing with some injuries, but he practiced in full on Friday and will play this weekend. I’ll be honest: I’m not an Allen truther. He’s a slot sloth who has made his career as a glorified version of Jarvis Landry. Allen leads the team with 75 targets, 53 receptions and 687 yards receiving, but he has only two touchdowns. Last season, Allen averaged 9.9 targets and 1.5 red-zone targets per game. This season, it’s 8.3 and 0.78. Last season, he had a 9.3-yard average depth of target (aDOT). This season, his aDOT has slipped to an 8.9. On a per-game basis, Allen was the No. 3 fantasy wide receiver from 2015-17 with an average of 20.2 DraftKings points. This season, he has regressed all the way to 16.2 DraftKings points per game with a subpar -0.72 Plus/Minus and 33.3% Consistency Rating. 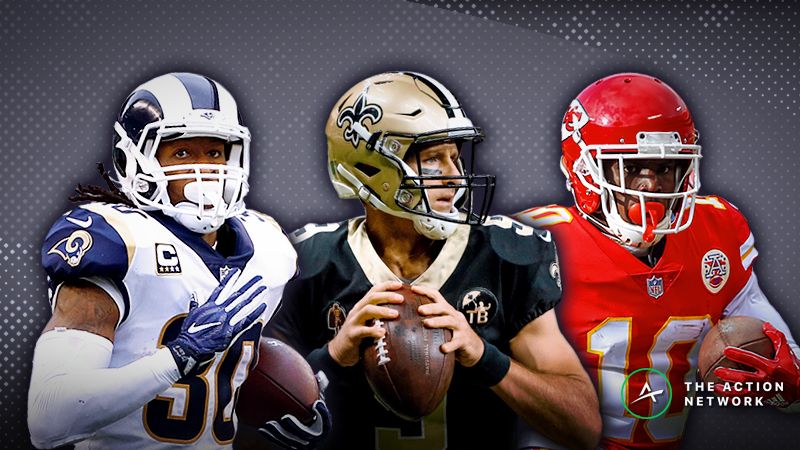 Allen’s primary problem is that he’s more of a technician and less of an athlete — and that’s why he’s run 52.9% of his routes from the slot in 2018 — but he’s paired with a quarterback in Philip Rivers, who is comfortable with throwing the ball downfield and letting his pass-catchers make plays. 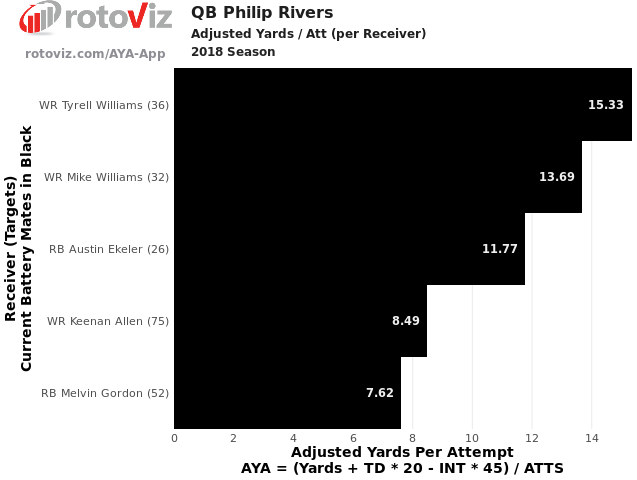 With wide receivers Tyrell Williams and Mike Williams, Rivers has two playmakers who can win on deep balls. A direct comparison between Allen and the Williamses is sadly instructive. That’s just unfair. On fewer targets and receptions, the Williamses have massively outperformed Allen in every way imaginable. When aDOT is taken into account, Allen’s probably the least dynamic receiver whom Rivers regularly targets — and that includes running backs Melvin Gordon and Austin Ekeler. 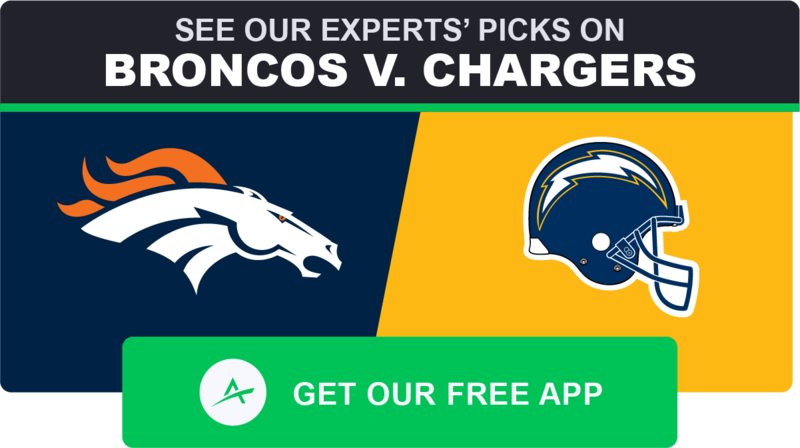 On top of that, Allen has a tough matchup against the Broncos. Slot cornerback Chris Harris Jr. is just a couple of seasons removed from an All-Pro campaign, and he’s the best defender in the secondary. He will certainly match up with Allen in the slot, and he might even shadow him when he moves outside. Throughout his career, Allen hasn’t had much success against Harris and the Broncos. Overall, the Broncos are third against the pass with a -13.0% DVOA. But there are six teams on bye, so the slate is thin, and all of the receivers on the slate who have more than Allen’s 8.3 targets per game are either more expensive or projected for higher ownership. And while Denver’s defense is good, it isn’t the intimidating unit of years past. Besides Harris, the Broncos don’t have one defensive back or linebacker with a PFF coverage grade of even 70. It doesn’t help that Brandon Marshall (knee), their best coverage linebacker, is out. The Chargers are set up well to create big plays in the passing game. And the Chargers haven’t had much of a home-field advantage since moving to Los Angeles. StubHub Center is easily the smallest venue in the NFL — the largest attendance it’s ever had is 29,391 people — and on game days the stadium is often full of fans for visiting teams. But at least they’re at home. It’s better to play in L.A. in November than at elevation in Denver. Thanks to his high ceiling and low ownership projections, Allen has a top-five Leverage Score on DraftKings, where he’s tied for the position lead with eight Pro Trends and is the No. 1 wide receiver in the Koerner and Raybon Models. UPDATE (11/18): Wide receiver DaeSean Hamilton (knee) and wide receiver Royce Freeman (ankle) are in. It’s hard to trust a guy with non-2017 Case Keenum as his quarterback, but Sanders is the clear No. 1 receiver on the Broncos now that Thomas is gone. Sanders leads the Broncos with 74 targets, 56 receptions, 754 scrimmage yards, 651 air yards, 256 yards after the catch and four all-purpose touchdowns (tied with running backs Phillip Lindsay and Royce Freeman). Sanders even has a perfect 158.3 passer rating (just sayin’). Averaging 18.8 DraftKings points per game with a +4.94 Plus/Minus and 66.7% Consistency Rating, Sanders has never been more productive in the post-Peyton Manning era. Running 63.6% of his slots from the route this season, Sanders normally gets the benefit of facing the weakest cornerbacks in teams’ nickel packages. This week, though, he’s slated to face slot cornerback Desmond King, who has a position-high 90.8 PFF coverage grade. A second-year player, King broke out as a rookie in 2017 and has continued to build on that success this season, racking up three interceptions and allowing just one touchdown in his coverage so far. With his ability to lock down the middle of the field, King enables No. 1 cornerback Casey Hayward Jr. to shadow opposing wide receivers on the outside, which means that Sanders could be in for a long day. In the slot, Sanders could face King on every snap. And when he splits out wide, he could be tailed by Hayward, who has traditionally shadowed Thomas but now is free to focus on Sanders. In his three post-Manning games against the Chargers, Sanders has woefully underperformed. Of course, in all of these games, Sanders was sharing targets with Thomas and trying to catch passes from “quarterback” Trevor Siemian. As inadequate as Keenum is, he’s better than Siemian, and he’s targeted Sanders heavily in the slot. Priced outside the top 10 at his position, Sanders is attractive in that he has the upside of double-digit targets and the benefit of a single-digit ownership rate. Only three players (Hopkins, Allen and Antonio Brown) have more than Sanders’ seven Pro Trends on DraftKings, where Sanders has a top-four Leverage Score. Sanders is the No. 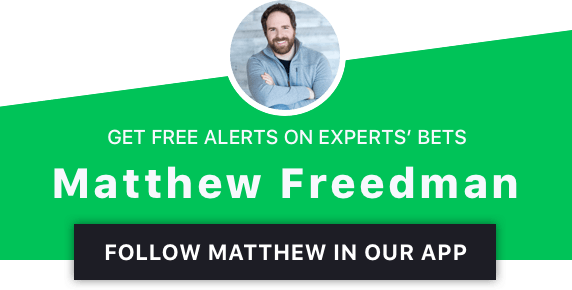 1 DraftKings wide receiver in the Bales and Freedman Models. Kirk is the No. 1 FanDuel receiver this week in the Freedman Model. For context: His teammate Larry Fitzgerald is No. 2, so my Model (I guess) really hates the Raiders defense — and it’s not hard to see why. The Raiders are in full rebuild mode. They have a league-low two wins against the spread, and their -10.3 spread margin is excrementally worse than that of any other team. 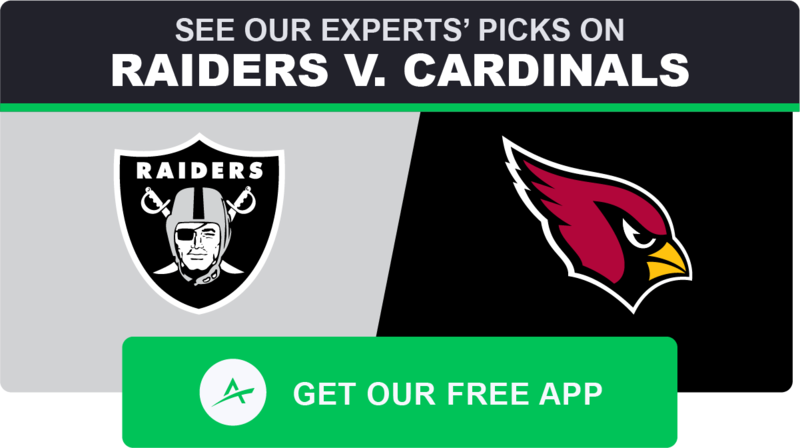 (Yes, “excrementally.”) The Cardinals are rather uninspiring in general, but even as favorites of more than a field goal, they could exceed expectations. The Raiders rank dead last in pass DVOA with a 39.4% mark. 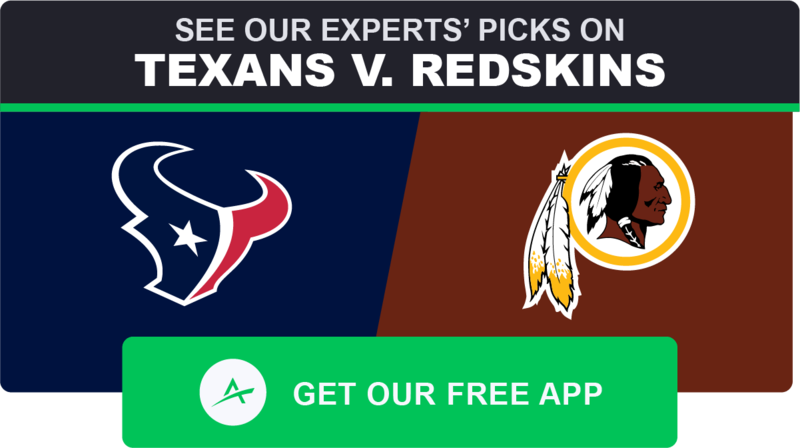 A dynamic second-rounder, Kirk has seen six-plus targets in six of seven games since being inserted into the starting lineup in Week 3, and he’s actually led the team with 28 receptions, 387 yards receiving and 459 air yards over that span. A healthy Fitzgerald has easily out-targeted Kirk over the past four games (38-26), but against the hapless Raiders, Kirk should have opportunities to put up points even if Fitz gets his. Since Week 3, Kirk has averaged 9.4 FanDuel points per game with a +3.21 Plus/Minus and 71.4% Consistency Rating, and with interim offensive coordinator Byron Leftwich calling plays, Kirk has led the team with his 10.5 aDOT. Kirk shouldn’t be touched in cash games, but he warrants GPP consideration given his top-five FanDuel Leverage Score. Amazingly, two wide receivers from this (intentionally misspelled) gawd-forsaeken gaem are popping in our Pro Models. It’s that part of the season. In this game, Roberts will be the only active Raiders receiver with whom quarterback Derek Carr has any sustained familiarity. In the context of Carr’s career, Roberts ranks third with 208 targets, 121 receptions, 1,423 yards and 12 touchdowns, right after Cooper and the departed Michael Crabtree. This weekend, when Carr has the ball, he’ll have the option of throwing to a guy who’s been his teammate his entire career — or some random guys who have been on the Raiders for half a season. Roberts could approach double-digit targets this week. Every once in awhile, there are random receivers who come from nowhere to have minimally fantasy-useful campaigns in a pass-catching vacuum. For instance: Harry Douglas. As hard as it is to believe now, in 2013, when Jones missed most of the season with an injury and Roddy White was in steep decline, the unexceptional Douglas — who had been with quarterback Matt Ryan since his 2008 rookie season — led the sinking 4-12 Falcons with 132 targets, 85 receptions, 1,067 yards receiving, 1,132 air yards and 507 yards after the catch. And he did that while running 60.8% of his routes from the slot. Roberts has run 72.7% of his routes from the slot this season, and he’s a totally nondescript player. In five years, you probably won’t even remember he existed. But right now Roberts is the last receiver left on a tanking team, and Carr will need to throw the ball to someone. For at least this one week, Roberts is the 2018 version of 2013 Douglas — and he’s the stone minimum on DraftKings. … but you’ll also need to roster Roberts. But some smart people are at least going to consider it this weekend. Roberts is tied for the position lead with a 98% Bargain Rating on DraftKings, where he’s the No. 1 wide receiver in the CSURAM88 Model.